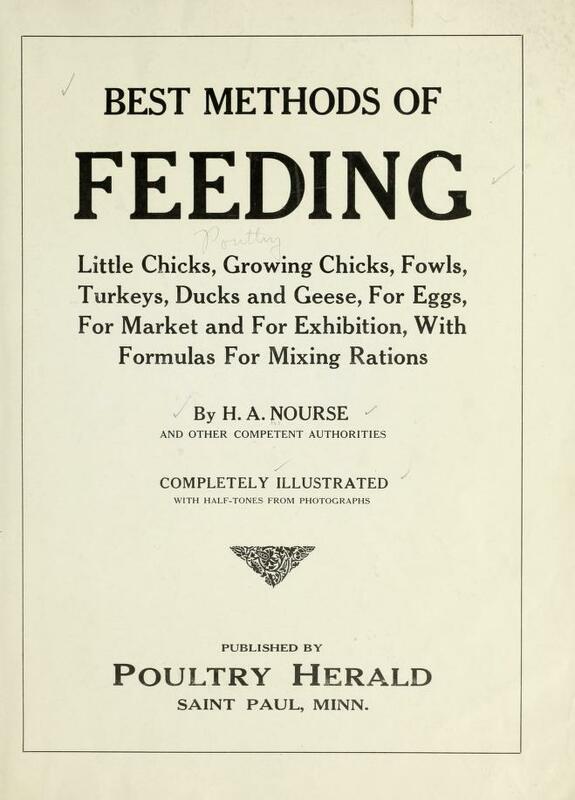 Until comparatively recent years, most poultry keepers paid no attention to whether the food they were giving their poultry was suitable or not. 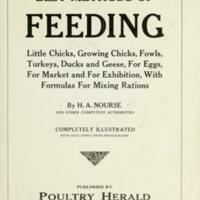 If they thought at all, they probably supposed that the chick was endowed by nature with the power to create bone, muscle and feathers from anything that it would or could eat and that the hen was so constituted that no matter what she filled her crop with, she could construct eggs out of it, if she would. 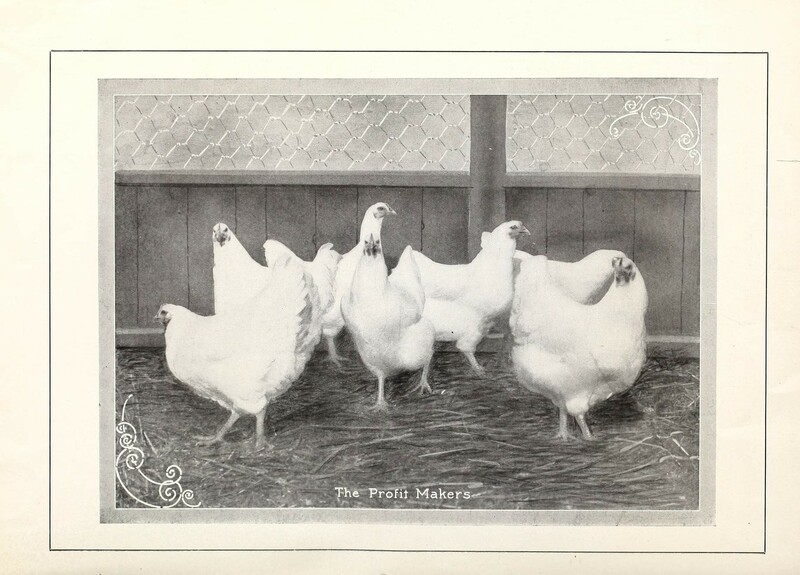 In the olden days, before the time of exclusive poultry farms, well organized and equipped poultry departments on farms and modern village lot poultry plants, most of the poultry and eggs were produced, incidentally, on farms. The poultry was not "kept"' but was compelled to keep itself. 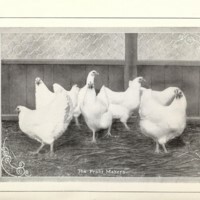 The hatching was done in the late spring and early summer, the chicks were fed for a while when young, then allowed to shift for themselves, roosting in the trees until cold weather arrived and then seeking shelter in sheds and barns. 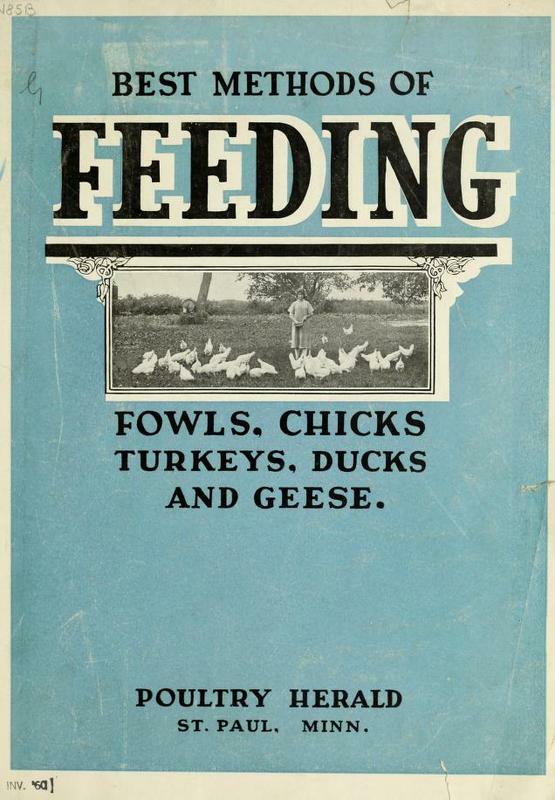 Occasionally a poultry house was provided, but usually it was neither comfortable nor healthful. There was no theory, no plan to the feeding. Whatever was hardiest and in greatest supply was fed and usually that consisted of one kind of grain.